Just click on the chapter you wish to see and you will be taken to a page with all of the articles listed. 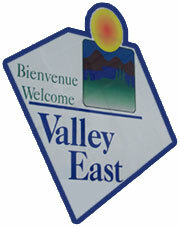 "Constellation City - Building A Community of Communities In Greater Sudbury"
The First Sign That Spring Is Near! "The Real Heroes Of The Olympic Games Were The 12,000 Torch Bearers Who Left Lasting Memories Across This Great Country"
Graduate Programs Being Offered By Universities As Students Realize That A B.A. May Not Be Enough!